The material is a creative commons licensed introductory textbook. It is well organized as a logical introduction to Geographic Information Systems (GIS) through a progression of chapters: Introduction, Input, Map Processing, Data Processing, Analysis and Output. The content achieves good compromise between the cursory introduction to basics that is done in ESRI Tutorial books and the overly technical onslaught presented in many expensive GIS textbooks. The only down side is that I had a hard time reading the material in a web browser and the graphics were hard for me to see. They certainly achieved their purpose, but I was distracted by the blurry text in images. The pdf version (available from the Acrobat link icon at the bottom right of each chapter) is easier to read but the graphics are still fuzzy. I am considering integrating this content in to our Introduction to GIS course. I will use it as source material to be parsed out in to our existing weekly instructional modules. Thank you for sharing! You just viewed GIS Commons: An Introductory Textbook.... Please take a moment to rate this material. 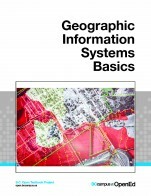 If you know the author of GIS Commons: An Introductory Textbook on Geographic Information Systems, please help us out by filling out the form below and clicking Send.